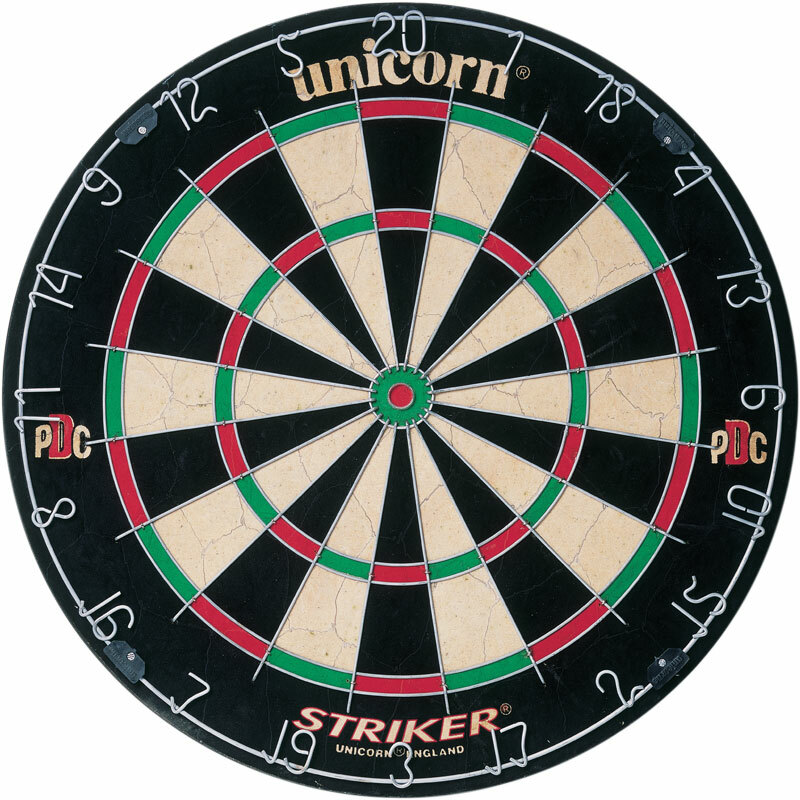 The Unicorn ® Striker Dartboard is a high quality entry level dartboard which is PDC endorsed. Competition quality bristle board, PDC endorsed and World Champions endorsements. High quality round wire construction. SuperSlim wire fasteners to increase playing area. Comes complete with a free checkout chart and measuring tape. Bought this as we loved playing darts on summer holiday, the board was easy to install and is good quality, darts rarely bounce off. 4 out of 5 dartboard triple top present. Bought it as a gift for my 3 children 9 to 14, they have played this more than anything. They play round the clock, first to 500 etc , great for there maths ! decent quality and easy enough to put up. Laid rules down for h and s and all sticking to it, first set of darts did nt last too long but they were the cheapest ones. Think it will last long time, don`t think we will need the rotatable numbers feature to ease wear as not throwing 20 after 20 ! although they are surprisingly good at getting bullseyes.